It felt like it was finally the right time for Christiane and her husband to start trying for a baby. They’d been in a long distance relationship for a few years, and concentrating all of their time on their studies and careers – and that’s okay. Christiane is now 36, and she and her husband feel like it’s the perfect time for them to start their family. They tried and tried for a baby. But it didn’t seem to be working. She took the trip to her gynecologist but the advice she recieved was that everything was fine and that she should just keep trying. But something didn’t feel right. Christiane and her husband decided to go to a fertility clinic. Again, her blood work and his sperm count all came up clear… everything appeared to be ‘normal’. Yet, they wasn’t getting pregnant? They endured through 2 unsuccessful inseminations with the fertility clinic. Christiane was getting stressed with work and felt as though she wasn’t getting enough information or support from her doctors. It was only after her own research and suggestion to her doctor that the clinic scheduled her a laparoscopy and discovered that both of her tubes were blocked. She started with thoughts that may be familiar to some of you reading this. How could this happen? Why me? Despite the fact that her tubes were blocked, her AMH levels were still okay. She decided to start IVF (and she was pretty sure it would work for her). But, in fact, IVF success rates can vary depending on multiple factors (it’s not always guaranteed to be 100% successful). She went through two rounds of IVF with no success, then started to look to the internet for more support and guidance. So far, she wasn’t doing anything more than the ‘medical stuff’ her doctors had instructed her to do. She wanted to know how to make her IVF successful. Through Fertility TV, she learned about the powers of acupuncture, acupressure and chinese medicine, as well as the importance of a mind-body balance and positive visualisation. 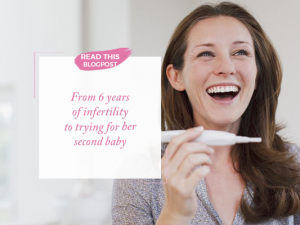 It motivated her to seek out a fertility doctor (and eventually a new IVF clinic) that were right for her and could properly attend to her individual needs. Christiane, during an interview with my team, said (and I couldn’t agree more): “You need to feel confident. If you feel that things aren’t going right then you need to look for something else. Don’t just believe everything the doctor says, listen to your instinct. She decided to take a 6-month break from trying to take care of herself, listen to her body, even take a vacation with her husband. She found a new gynecologist and a different clinic that had a different approach, more appropriate approach to her treatment. When she went for her 3rd round of IVF, she received amazing news… she was pregnant with twins! Although Christiane had a medical background, it was hard for her to say what was right and what could help her. She needed someone who could support her and who knew what they were doing. She stressed to me how important it was for her to be able to talk about it to friends. The more she talked about it, the more people she met who had been trying too. 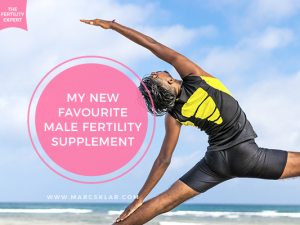 I always talk about how important community and support are throughout the fertility journey. No one should have to go through infertility alone. I want you to have all of the guidance, support and information you need to start writing your own fertility success story. It’s your time to get pregnant! 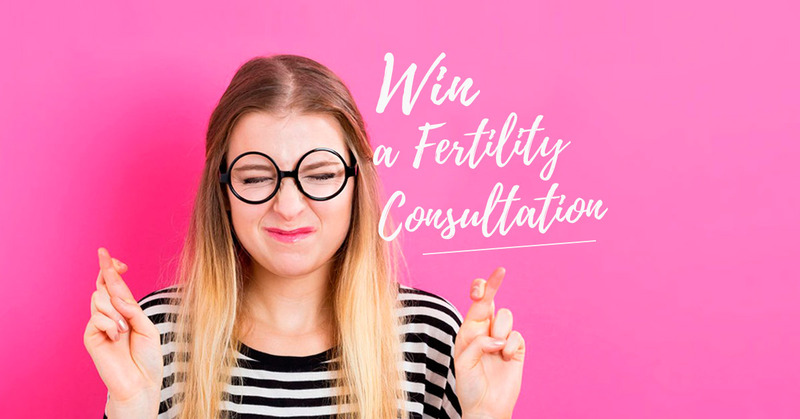 You have a chance to win a FREE, 60-minute consultation to have your case reviewed and a personalised fertility plan created for you. I will discussing more about the contest and what you need to do to enter in the upcoming weeks. But for now you can enter and read more information about it here. If you would like a little bit more support on your IVF journey; if you’re thinking about IVF or you’re already doing it and you want to improve your success rates, then I’ve created an IVF support group that can guide you and hopefully increase your success rates. 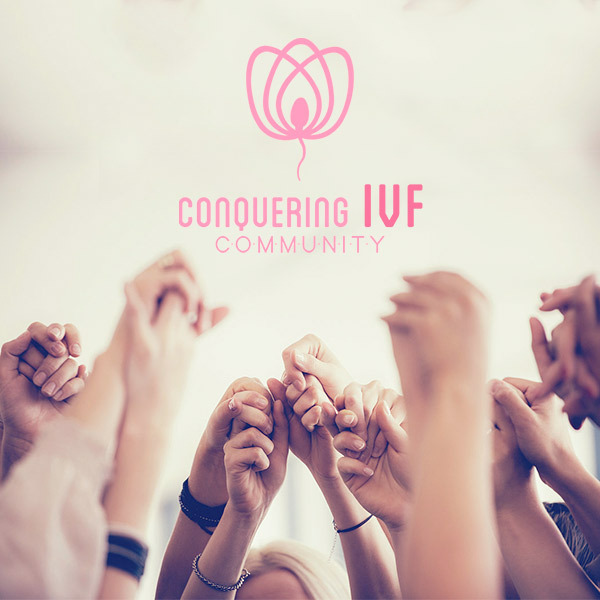 Enroll now to the Conquering IVF Program, where we break down the IVF journey into the before, during and after: Believe, Empower, Create. 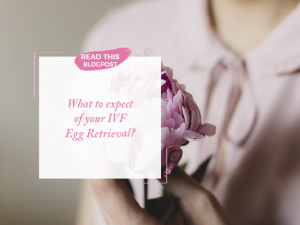 With our monthly subscription, you will have access to an online e-course and 2x group coaching sessions a month where you can connect with other like-minded couples while receiving the guidance and support you need to take you through your whole IVF journey.